Drawing on a blend of diverse influences ranging from Krautrock explorers like Can and Ash Ra Tempel, to instrumental surf rock and rural American folk music, to Middle Eastern and psychedelic freakouts, Boston's Cul de Sac have been crafting their own unique style of instrumental rock for over 10 years now. The brainchild of guitarist Glenn Jones and electronics wizard Robin Amos, the band has had a somewhat shifting personnel structure over the past decade, but has still managed to put out a discography of consistently strong albums that lie on the cutting edge of modern music. 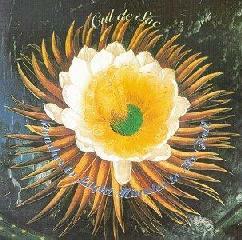 ECIM (1992) Their debut, found the band with an already well-developed and mature sound. 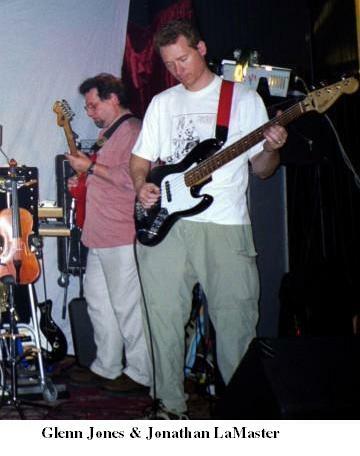 Glenn Jones and Robin Amos had already been playing separately in various bands around the Boston underground for a number of years. Amos brought his punk attitude and wildly inventive electronic experimentation to the group, while Jones brought a healthy appreciation for traditional forms of music, as well as a love of Krautrock, to the band. Along with bassist Chris Fujiwara and Drummer Chris Guttmacher, the mix was an explosive one. Kosmische musik style freakouts like Death Kit Train and Homunculus bristle with raw energy, fitting in perfectly alongside the folksy industrial jam of The Portland Cement Factory at Monolith, California and the violin rich, Middle Eastern influenced The Moon Scolds the Morning Star. 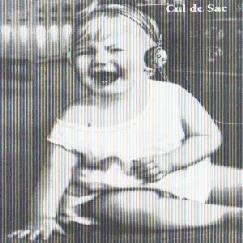 Vocals are far more prevalent on this album than they are on subsequent releases, but for the most part, with the exception of Song to the Siren, they come in the form of wildly enthusiastic mumblings and howls, similar to the style of classic Can or early Amon Düül, and voice samples, like the clever use of Nico's sultry voice on the song Nico's Dream. Their second release, I Don't Want to Go to Bed, was released as a stopgap when production of their second studio album was delayed. Compiled by band drummer Chris Guttmacher, I Don't Want to Go to Bed was a collection of music from the band's rehearsal tapes from 1990 to 1993. Lo-fi, and often having an unfinished feel about it, the music still pulses with the creative energy of a band exploring new sounds and new ideas. There were even hints of things to come, found in an earlier, extended version of Doldrums (a song that would appear on their next album). Despite the poor sound quality, the brilliance of I Don't Want to Go to Bed is that it shows the band at their best, when they are being spontaneous and not trying to get things perfect, and is thus a worthy addition to any Cul de Sac collection. China Gate (1996) was a big step forward for the band. 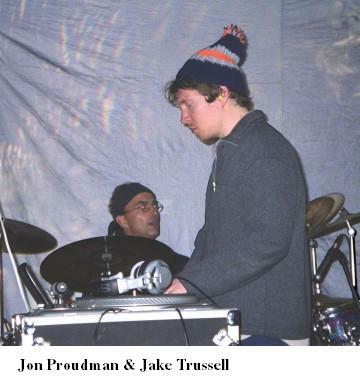 John Proudman replaced Chris Guttmacher on drums, and his style fit in nicely with Glenn Jones's increasing use of surf rock type guitar leads. With its references to exotic places like Sakhalin island and the most overt surf rock styles of any of their albums, one gets a sense when listening to China Gate of being whisked across the seas of the South Pacific, the smell of saltwater in the air. From buoyant rockers like the aforementioned Sakhalin, with Robin Amos squealing away on his synths, and Doldrums, a heavily surf influenced number that zooms into wild krautrock territory midway through, to more atmospheric excursions like the moody Nepenthe or the distant melodic tones of James Coburn, to the experimental weirdness of the The Fourth Eye, to the mellow tripping of Utopia Pkwy, China Gate was a winner all the way. Not at all content to repeat past successes, Glenn Jones and company made a huge departure for their fourth release. Jones had idolized legendary acoustic musician John Fahey since the early 70's, and had even struck up a friendship with the guitarist over the years. When the opportunity arose to work on a project with him, Jones and the rest of the band jumped at the chance. 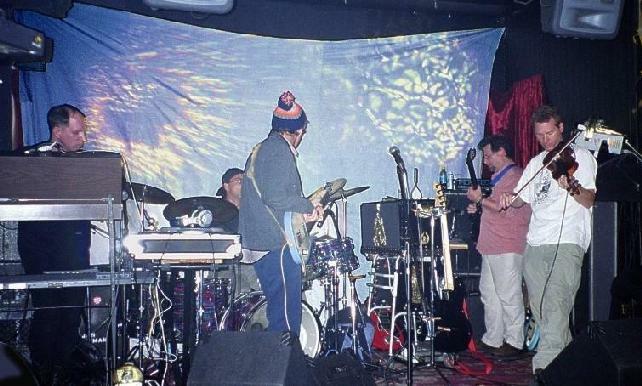 Extensive planning and composing was done and presented to Fahey, but in a fit of eccentricity, he refused to play what the band had rehearsed. Instead, he went out and found a junkyard object, which he brought back to the studio and named The Great Kooniklaster. He insisted that everyone involved in the project worship it. From there, they began to create an entirely different album from the one Jones had originally envisioned. The result was The Epiphany of Glenn Jones, a deep and complex album that finds a point midway between traditional American acoustic music and spacey psychedelia. A truly unique and undeniably challenging experience, not really like anything else you may have heard. And see if you can figure out from this brief retelling of the story what exactly Jones' epiphany was. If you're not sure, the detailed liner notes that come with the CD will let you know. The band had obviously learned through experiment and trial and error, because it all came together for them on their next release. Michael Bloom replaced long time bassist Chris Fujiwara, but other than that, the line-up remained stable. Crashes to Light, Minutes to It's Fall (1999) managed to bring together elements from all their previous recordings: the krautrock freakiness of ECIM; the surf rock rhythms and guitar styles of China Gate; and the folksy, experimental soundscapes of The Epiphany of Glenn Jones. 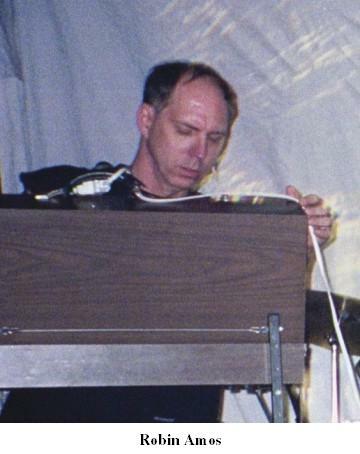 Robin Amos' electronics took on a spacier, more liquid tone, but were never used merely as filler. Jones guitar workings had their strongest sense of melody yet, with clever hooks wrapped around adventurous explorations. And the rhythm section of Bloom and Proudman worked astonishingly well together. What resulted was Cul de Sac's finest album yet, overflowing with great pieces like the intense and exotic Etaoin Shrudlu, the spacey K (does that stand for "krautrock" or "kosmische"? ), the moody mellowness of A Voice Through a Cloud, and the slow build and final climax of Hagstrom, to mention just a few. Re-workings of several of the key tracks from Crashes..., as well as a number of new pieces, appeared on their next and current release, the live recording Immortality Lessons. At the time of recording it, the line up was the same as it was for Crashes..., and Glenn Jones again provides some great liner notes detailing what they initially thought was a disastrous performance, but what turned out to be something entirely unexpected. You can read a full review of Immortality Lessons by Clicking Here. After Immortality Lessons, Michael Bloom left the band. Rather than simply replacing him, the remaining members decided to bring in two young multi-instrumentalists in the form of Jake Trussell and Jonathon LaMaster. Since their earliest days, when Jones and Amos were compelled to form a group by a young drummer named Chris Guttmacher, who was a fan of the bands Amos and Jones had been playing in before, Cul de Sac has thrived on the union of maturity and experience of older musicians with the vitality and fresh creativity of younger ones. It's a somewhat unique combination that has always worked for them, and if the live show I saw (Click Here to read the review) is any indication, this latest five-piece line-up is going to produce some great recorded music together. Soon to be released by Cul de Sac are two new efforts, the soundtrack to the Boston shot Roger Corman film The Strangler's Wife, and the latest studio album Death of the Sun. I caught up with the band just before the show, on the evening of May 17, 2002 (for a review of that show, Click Here), and had a chance to talk to them about where the band has come from, where they're going, some of their intriguing instruments, and their latest tour with legendary Can vocalist Damo Suzuki. For a separate interview with Damo Suzuki, Click Here. For a review of Cul de Sac's latest album, Immortality Lessons, Click Here. For a review of Cul de Sac live in Hamilton, Ontario at the Raven, Click Here. 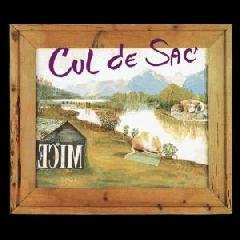 Aural Innovations: What was the concept, or the original impetus behind the formation of Cul de Sac. What was it your idea to accomplish? Glenn Jones: A lot of it was that I was tired of working in bands where the success of the band depended on how good a singer you had or how good a frontman you had. I wanted to play instrumental music. I wanted to play music where I could use both finger-style guitar as well as more histrionic rock-style guitar, and combine those in the same thing. I'd worked with Robin before in a band called Shut Up in the late 70's, so I already kind of new what he was about in terms of what he could bring to the band electronics-wise. Actually, the band kind of came together because of our first drummer, Chris Guttmacher, who was kind of a younger fan of bands both Robin and I had been in, and he wanted to work with us. It just worked so well that we began auditioning bass players. That's how the first version of Cul de Sac came together. AI: What about you Robin? You were there at the beginning too. What's your take on that question? Robin Amos: I had no expectations whatsoever. I just liked all the people that were there, and just thought it would be fun to play with them. AI: What about the name of the band? How did you come up with that? 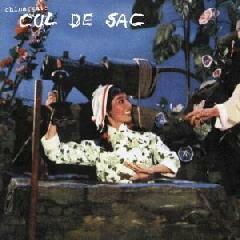 GJ: I happened to like the Roman Polanski movie called Cul de Sac and I always thought it would be a good band name. RA: Yeah, we all were in agreement on that. AI: One of the things I found interesting is that you create some of your own instruments. Glenn, you've created something called "The Contraption", which is sort of a Hawaiin lap-steel-guitar, run through numerous effects pedals and played with kitchen utensils. I read about another one called "The Incantor". What is that? GJ: Actually, that's not one that I invented. I don't think we've used that on any actual recordings yet, though it will be on the next studio album. It's actually made by a guy named Reed Ghazala, who makes these sort of modified Speak and Spells, where he takes and corrupts the chip board so the sound doesn't route in the proper way. RA: It's all circuit bending. AI: Tell me about The Contraption. GJ: The Contraption is basically an excuse to have the effects boxes up where I can manipulate them while I'm playing, and also to have the other steel guitar built into it. The initial Contraption was kind of built with the steel guitar with kitchen utensils and stuff threaded through it, as a way to make sounds, which intellectually I didn't know, something random. It was also a way to have to think differently about music making, as opposed to playing guitar, where I have a better idea of what I'm doing generally. AI: It sounds like you were inspired by John Cage, who liked to treat his instruments in different ways, like wrapping tinfoil around piano strings. GJ: Definitely. It's kind of a prepared guitar in the same way Cage invented the prepared piano. AI: Does the music you listen to tend to influence you directly? Have you ever said while listening to someone else's work, "Wow, I'd like to do something like that."? Or is it more of an indirect influence? GJ: I would say indirect. I mean, everyone in the band would probably give you a different answer, but I've never consciously tried to imitate anybody and I'm not really able to, so that right there really prevents me from copying too much because I don't have the ear or the technical prowess to pull it off very well. I just have my own style based on my own limitations as a musician, really. GJ: One could make the argument that you're a product of everything you've ever heard. AI: It's very intriguing the way you have managed to bring so many different influences into a homogenous whole. RA: One of the reasons I wanted to work with Glenn initially, I was looking for a guitarist-I was using rockabilly as my template, and I thought it would be really cool to mix hard industrial-style electronics with the kind of guitar playing that I love, which was kind of a Link Wray or Johnny Burnette style. Glenn totally understands and has a feeling for that kind of music. When I was in Boston, there weren't that many people around in the punk scene who cut their teeth on that kind of southern style of music. AI: So just out of interest, what's some of the music you've been listening to lately? RA: (in a deep voice) Black metal. RA: All things black metal. AI: Speaking of influences, I noticed on your web site that you have a number of literary links. Has literature influenced your music in some way? RA: The band is very literate in many ways, and we also tend to reference the cinema a lot. When Chris Fujiwara was working with us, he used to have films that were made for specific pieces of music, and it was this whole thing of integrating our love of that kind of music where it is following off of narrative imagery. GJ: Yeah, that's right…anyway, he did a book on that director, which Martin Scorcese wrote the introduction for, and he just got the okay from Otto Preminger's widow to do a book on Preminger's film career. Chris is very accomplished. AI: What's your whole take on this "post rock" thing. It's a vague term, but it seems to be one you've been saddled with, incorrectly or not. RA: You know where that term comes from? It was from Simon Reynolds. He's this British rock critic, and a very good one. He kind of took us under his wing when he realized what we were doing-I forget how we got material to him, but-he helped us anyway. When he was reviewing us for Melody Maker or…what was the journal? GJ: It was an article for The Village Voice where I think he first coined the phrase, which has kind of been an albatross around our neck. (laughs) And a number of band's necks. Actually, why don't we ask our two youngest members what they think of the term? JL: That term is a little old now, I think it's like ten years old, but yet it seems to be more and more commonplace with bands calling themselves post rock bands. Genres are kind of interesting, in a way, that they sort of evolve. Who knows? Will there be bands in 30 years calling themselves post rock bands, like we still have surf bands? JT: I think we rock, so we're not post rock. AI: Their have been many influences attributed to your music by the press, including Krautrock bands such as Can and surf rock, Karlheinz Stockhausen, John Cage, even the Velvet Underground. Certainly any educated music fan can hear at least some of these influences in your sound, but how many of them are actual influences, and how many just accidental similarities? GJ: I don't think similarities could be that accidental, but at the same time I don't think anyone listening to us would confuse our music with Can's music or Stockhausen's, or the Velvet Underground's, but it's very hard to escape the things that you love and the things you grew up with and that influenced your outlook and the way you look at life or the way you think. That music becomes kind of a filter for a lot of other things. I don't think anyone's free of influence. RA: When I first heard Faust and bands of that start, I had just started doing electronic music myself. I was coming from an academic background, doing the Cage kind of trip. Prior to that I'd played drums in a punk band when I was a kid, and I had a real love for rock, and that other stuff didn't really appeal to me as it was too staid. Hearing bands like Faust and Can gave me a real understanding of how you could integrate electronics into a rock context. That was really important to me, personally. AI: Speaking of Can, how did you guys hook up with Damo Suzuki for this current tour? GJ: Apparently somebody gave Damo one or two of our CD's at a show he did somewhere, which he had for a year before he finally played them. So he sent this e-mail to us via our web site, introducing himself, as if we wouldn't know who he was. (laughs) Robin and I both bought the Can albums, as they came out-they were new albums when we added them to our collections, so we were certainly very familiar with Damo Suzuki. At the time, we were in the midst of recording a new studio album, and we were thinking of doing a tour, and Damo said, if you're still playing music like on this record, what do you think about doing a tour together? Well, after we picked ourselves up from falling out of our chairs, we discussed what a great idea it would be. AI: Have there been any challenges to incorporating you style with Damo's style? JL: It's really fallen into place unbelievably. I mean, the first couple of gigs we did we just immediately felt like we were old friends. We'd never rehearsed together, we had no idea how it was going to work. But it just seemed to fall into place so easily. I think Damo is very comfortable with what he's doing; he's very much in the moment. GJ: The aesthetic doesn't really allow for rehearsal or pre-planned songs. It's not really improvisation, in the same sense, but obviously were arriving at something through trial and error, but the moment has to be alive. It's not a preparation for the next moment, it has to be its own thing. As far as challenges, for me, it was just a matter of letting ourselves be as unafraid as he is as a bandleader. He's very inspiring. AI: Let's talk about Immortality Lessons, which is your most recent release. Although it's not the most recent thing you've recorded, is it? AI: That's The Strangler's Wife? GJ: Yes. That soundtrack will probably be out later this year after some of the legal things that have to be done have been taken care of when we started this tour. That's all new recordings with the five-piece version of the band, this version of the band. Both Jonathon and Jake have been with us for about two and a half years, though neither are represented on any recordings yet. Immortality Lessons is a live album that's the last album we did with the old four-piece, with Michael Bloom playing bass. It was just one of those serendipitous things where we happened to get a really great recording of a very good performance. AI: But later listening to it, you thought it turned out terrific. So what do you think happened there? GJ: It felt like there was a lot of indifference on the part of the station, though I don't think that necessarily was the case. It was just the fact that school was out, nobody was there, there were no phone calls-it felt like the non-event of the year. We felt like, who are we playing for, who's listening, who are we reaching? But when we listened back to the recording, there was just this strange, uncanny calm and steadiness to it that I didn't feel at the time. I felt uneasy and irritated, and just wanted to get it over with at the time. Jon Proudman: There were a lot kind of personal things. I had just gone through a divorce the week before that radio broadcast, so I was deep in depression. AI: It sounds like there were a lot underlying emotional things going on with everyone. GJ: We were certainly aware of what Jon was going through emotionally, and that was a concern. But, I just think it was a strange combination of events and something magical came out of it. JP: Maybe because of all that something magical happened. AI: One piece that kind of stood out for me on the album, just because it was so different from all the rest, was Liturgy. It sounds more like a studio creation, but it's on a live album. How was that created? RA: We do music for silent films. We've worked on Murnau's Faust in particular, but we've done other films as well. When we did Faust, there was one particular place in Dante Aleghieri's Center in Boston, and it's a really beautiful space, and I love Dante, so I set up this piece that just played music with keyboard, entering into the space before the film was actually shown, and that's the truncated version of it. For a while we were toying around and I think we did a few performances where I played it live, but it sort of represents another side of what I do which I obviously can't do all the time in a band context. AI: You said on your web site that, and I quote, "Our (song) titles are a reflection of our experiences, come directly from life, and are exact descriptions of their musical counterparts." GJ: (laughing) That was facetious. AI: I was just curious about why you called the album "Immortality Lessons". GJ: Something about the experience of doing it was-the title I think may be the title of an old bouzouki instrumental from Greece, or something like that-I remember seeing the words "immortality lessons" and thinking that's nice, but there was something about that that struck me when writing the song Immortality Lessons about it being-about what it means. It's something very cosmic. AI: So are you students or teachers of immortality? GJ: Definitely students. (laughs) It's a little bit tongue in cheek too. Something about the title suggested the life experiences or the musical experience of that record kind of not being what we thought it was. AI: The album is sort of studio recording and sort of a live recording. GJ: Yeah, it was recorded in a radio station. But it's not doctored with at all, except for the station ID that we took out in the middle of the two sets. AI: What are the differences between performing live for you, and performing in a studio? GJ: Well, we've done so many records now that the approaches are different on different albums. Our early albums, like ECIM and China Gate, we went into the studio with a set of songs and kind of recorded them in a conventional way. We tried to get the best performance, the best sound, best mix and all that stuff. But then the Fahey album, which we went into with the same sort of expectations, just blew up in our faces. So we had to adjust our whole way of thinking, and be much more spontaneous and "of the moment" and all that stuff, to do that album. We had to kind of rise to the occasion. That's been kind of true of the new studio project we're working on now, Death of the Sun, which is kind of not our typical compositional style. It's working with backing tracks that Jake and Robin have created and then trying to integrate the music in so that the band isn't playing along with backing tracks, but is coming up with something that, compositionally we hope interacts with the backing tracks so that nothing feels like it's not the primary thing, but that it's all kind of equal. At least that's what I hoped. JL: One of the pieces that were working with on those sessions is called Dust of Butterflies, and we've been playing that one live, so we've really had the opportunity to kind of road test it. 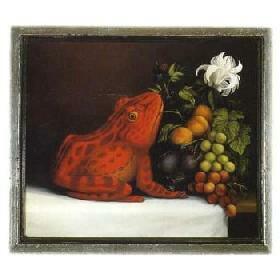 I think the projects that Jake and I have been involved in have been more conceptual. We did Death of the Sun, and then we did the film soundtrack, so those things, by their very nature, demand compositional attention to the scene that we're doing, or whatever. But we do improvise a lot in rehearsal. GJ: Most of our songs, our structured songs, have areas that are open and allow for things to happen so that we don't get bored of playing them, hopefully. AI: So is improvisation part of your compositional process? GJ: A lot of things come out of that, but I would say more band chemistry comes out of improvisation. Every time we come up with an idea just jamming or improvising, and we try to recreate it, it just falls on its face, it's never as good. It never works as well. But what you do get out of that is an understanding of what everybody is capable of doing. And you just sort of learn how to play together better. AI: How did you get involved in doing the soundtrack for The Strangler's Wife? GJ: A friend of ours had recommended us to the local producers, Laura Wilson and Paula Rebeiro: two local Boston people that Corman hired to do the production stuff. Corman didn't actually come out to Boston to work on it. He had script approval, editing approval, and he added some scenes at the end of the film. Anyway, we had been recommended to them and around the same time that we were recommended to them, Robin had heard that the film was being shot, and got in touch with them directly. So the producers heard about us from two different people, or from us and one other person, around the same time. So they got in touch with us and said they were interested. They seemed to be delighted with the music; they want to work with us again. AI: Well, I'm looking forward to hearing it and the new studio album Death of the Sun as well. Thanks a lot for talking with me.